The media and Congress are quick to point out instances in which Pentagon procurement has gone drastically awry, and rightly so, since it’s public money at stake. But it’s also worth pointing out glimmers of progress when we see them. 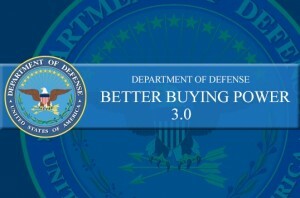 Better Buying Power (BBP) is based on the principle that continuous improvement is the best approach to improving the performance of the defense acquisition enterprise. In its annual assessment of Department of Defense (DoD) major weapons systems, the Government Accountability Office (GAO) calculated last week that over the past year, the department has seen a $10.7 billion increase in its “buying power” — GAO’s term for the amount of goods or services the department’s able to buy with a given amount of money, even after adjusting for increases or decreases in the number of items within a certain procurement line. In fact, there are several data points in GAO’s analysis of DoD’s 2016 weapons portfolio that seem to undercut the narrative that weapons costs are out of control, a picture painted as recently as last week by Sen. John McCain (R-Ariz.), the chairman of the Senate Armed Services Committee, who claimed that the Pentagon has “done nothing but resist” Congress’s efforts to control cost growth. As we reported in some detail last month, DoD’s own analyses show that cost growth is now at its lowest level since 1985 (3.5 percent as of 2015), and it’s been steadily declining since right around the time the department introduced a series of internal reform initiatives known as Better Buying Power.